Annyeong! 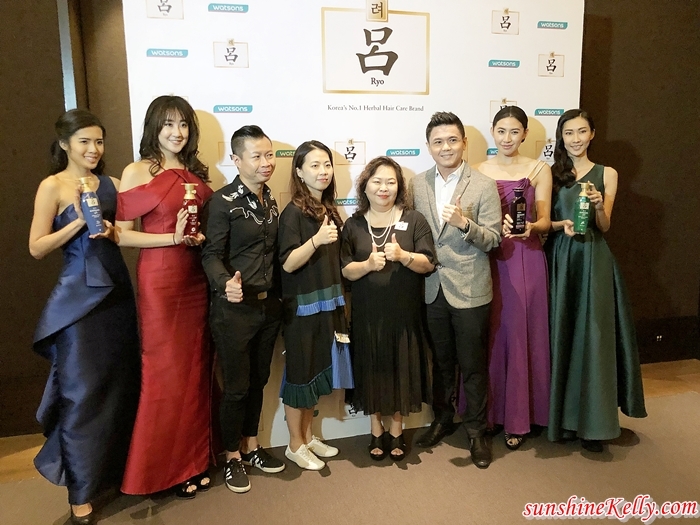 Here are Ryo x Watsons exclusive launch at RuMa Hotel and Residences in the heart of Kuala Lumpur. Finally, Ryo the leading shampoo brand from South Korea is now available at Watsons nationwide. Have you heard or tried this hair care brand before? You know for 9 consecutive years from 2009 to 2018, RYO has proven its track record for being Korea’s No.1 market share in herbal shampoo category, according to Kantar Worldpanel, a global expert in shopper’s behavior. I’m so happy that finally AmorePacific Malaysia debuts Ryo in Malaysia. Few months ago when I was in Seoul I wanted to buy Ryo’s Hair Loss Care shampoo back but I have limited space and weight in my luggage so I decided not to get it at that point of time. And now yeah! I can get it anytime here at Watsons, yuhuuu! Well, Ryo is available in 4 variants; Hair Loss Care, Damage Hair, Scalp Deep Cleansing and Dandruff Relief. Basically, Ryo scalp and hair care products using oriental medicinal and natural plant ingredients to achieve a harmonious balance for a healthy lustrous hair but any hair issues must first be addressed from Ryo which is the scalp. According to American Academy of Dermatology, 40% of women experience visible hair loss by the age of 40 while most women who frequently colour and style their hair complain about damaged hair. In the recent years, hair loss and hair thinning are prevalent among Asian women due to environmental changes, hectic lifestyle coupled with poor living habits. There is a demand for women looking for affordable and natural ingredients hair loss solution, including myself. With that, Ryo hair care products focused on the scalp, plus Ryo is also the first hair care brand in the market that treats the scalp apart from the hair. For Hair Loss Care, the core ingredient is Ginseng while Damage Hair and Dandruff Relief hair care lines utilize Jeju Camellia flowers. Scalp Deep Cleansing uses mint as its core ingredient. During the launch event, I did a hair analysis and found that I have dandruff and trouble scalp. Besides that I also have hair loss problems… looks like my scalp and hair need more attention. Test and find what's your scalp condition? Well we can’t neglect our hair because it is our crowning glory right. 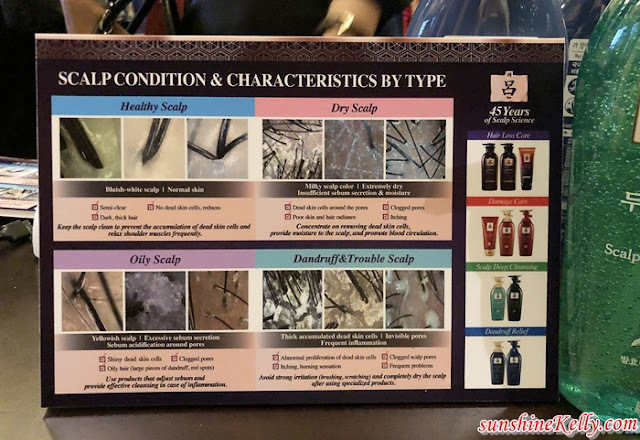 Let’s check out Ryo’s 4 variants and see how it can help us to prevent hair problems. Overall, I find that the 4 variants of Ryo’s hair care is ready to tackle our hair problems, especially majority hair loss concerns. Plus the price are so affordable and easy to get them because they are now available at Watsons store nationwide and also Watsons Online. Oh yes, Ryo’s hair care products is suitable for men too.